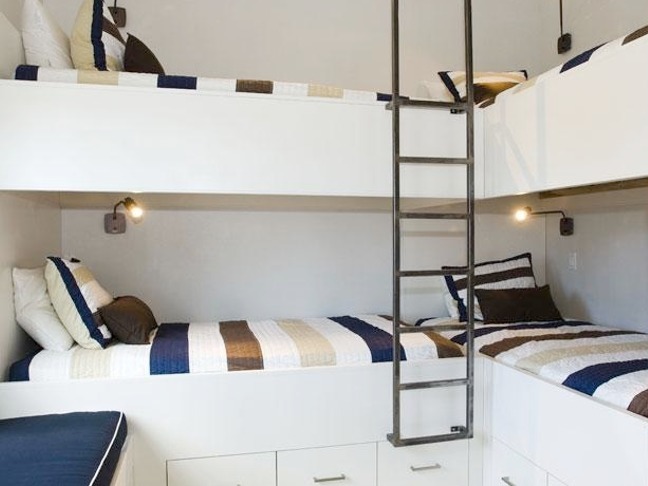 Whether you have a large family or a busy summer house, a bunk room is an ideal solution for accommodating lots of guests. Here are some of our favorites. This nautical-inspired bunk room in a Hamptons home by Steven Gambrel features lots of room for storage with built-ins and under-bed drawers. Custom netting provides safety for the top bunks. 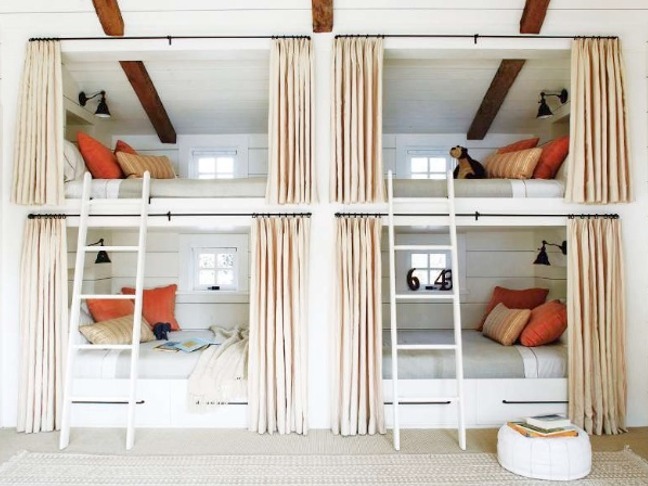 An absolutely gorgeous bunk room from the Lerer House in Park City, Utah. Love the barrel ceiling! This bunk room in an Alys Beach, Florida vacation rental home features a unique L-shaped layout for the beds. Coastal Living's 2009 Seawatch Idea House at Sunset Harbor, North Carolina featured this amazing bunk room for children. 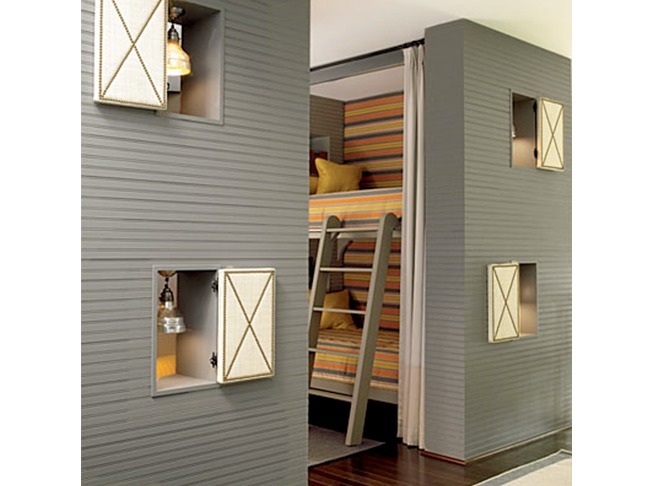 I love the cubbies with the little hinged doors and nautical lamps–super fun for the kids! The privacy curtains are a nice touch as well.